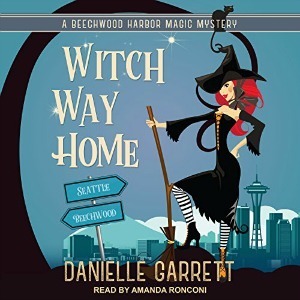 Witch Way Home, by Danielle Garrett, is the fourth novel in the Beechwood Harbor Magic Mystery series. 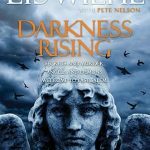 Murder, revenge and plenty of twists ensue as Holly gets reacquainted with Seattle Haven. Witch Way Home picks up right where Witch Slapped left off. Thanks to help from Evangeline, Holly has a meeting with the Haven Council to request her potions license. Her SPA officer, Harvey has promised to speak on her behalf. Teddy her lawyer is confident they will have no issues, but things goseriously wrong. 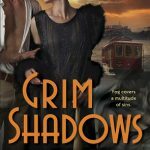 Once again Holly finds herself sleuthing as she tries to solve a murder-mystery as she also tried to figure out why a certain council member hates her. Th story focuses on Holly, the mystery and getting her license. While her motley crew of housemates and local PI Nick are present, the secondary threads didn’t overwhelm the case. I felt Garrett allowed for some growth in Holly in Witch Way Home. She is still finding her way, but despite all the troubles she seemed stronger. I found the murder-mystery fascinating and loved how it weaved previous threads into the current case. The author answered questions, shared the Seattle Haven with us from shopping to its governing ideologies. It was fantastic to see Holly open up to her friends and accepts their help. Something happens with Nick that changes the dynamics with their friendship and dealings with those from Beechwood Manor. I was glad and liked how Garrett made it all happen. Garrett still wove in her signature humor and snark balancing the light and the dark. She makes me want to move to a small coastal town and live in a haunted manor. Amanda Ronconi is a talented narrator with a wide range of voices. She has become the voices of these characters and I couldn’t imagine one without the other. I agree, it is very reminiscent of Bewitched. Hope you had a great Fourth Of July celebration and your neighbors weren’t too crazy with the fireworks. Ha, the neighbors did, we even had them going off last night. Hopefully they are done. Your review made me check out the rest of this series and Holly just made me smile! TY for the intro to a new series! I am glad. This is a fun series. I like them too, and the series is fun to listen to. The length is perfect. The cover alone makes me want this Kim. It’s number 4 and I although you didn’t mention it outright by some of your review it looks like I should start at book 1, right? The narrator is fantastic. She provides accents and more. It wouldn’t be pleasant. I think its the selling of potions that requires permission. I have the first one on my wishlist. These would be really quick audiobooks for me to get through. Yes, I to 2 days and done. Hmm, I think it will but with any series like this that builds you may feel a little like you arrived late to the party. Such a cool lookin’ cover. It certainly compliments the title! This sounds like such a fun series. I know I added Witch Slapped but haven’t read it yet. So behind. I am glad you have it. I feel your pain. You are really tempting me with this series. 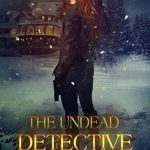 It sounds like a fun paranormal mystery and I love Ronconi’s narration. Glad you enjoyed it! I enjoy her too Carole. These are fun and I like the paranormal element. Happy to share, I hope you continue. I look forward to your thoughts Rachel! I love that the series has an ongoing story arc along with a new mystery and situation for her to deal with. Me too Sophia. This has been a fun series to listen to and I look forward to seeing what develops. I do too. I hope you listen to this series. I love cozy mysteries and this one sounds fun. Me too and they are a lot of fun on audio. I use to love watching reruns as a kid Ro.